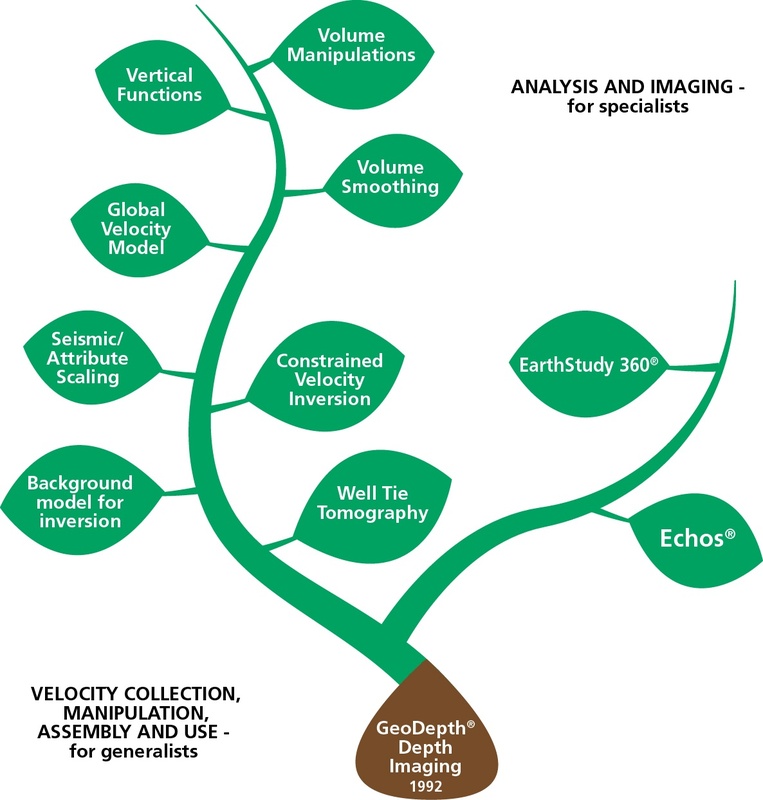 In the first half of the Velocity Blog series, we discussed the Paradigm velocity function “tree”, how it developed from GeoDepth. We described the major branches; the “Analysis and Imaging” branch for specialists, contrasted with the “Velocity Collection, Manipulation, Assembly, and Use” branch for E&P generalists. Finally, we had time to discuss one of the “leaves” on the generalist branch - Vertical Functions. In this second half of the Velocity Blog, we will describe the other seven velocity functions that sit on the generalist branch. The Volume Manipulation functionality is a complement to Vertical Functions. It allows you to reformat velocity information after it has been put into the form of a 3D seismic cube, with velocity values as the sample values. While a 3D velocity cube is also an intermediate product, it is definitely closer to what could be considered a “final” deliverable. Some uses: You can export a velocity volume in SEG-Y format to a geopressure specialist for drilling risk analysis, or it can be used by a depth imager as an initial velocity model. 2. Update – apply residual moveout or residual velocity information to a velocity volume or anisotropic attribute volume in order to update the values. The residuals can be supplied in the form of maps, slices, a volume, or vertical functions. 3. Edit – can be used to replace old velocity, formation table, or anisotropic attribute volume information with new information supplied by V0+K maps, scale factors, or formation tables. 4. Transform – various volume VTI and TTI anisotropy transformations between Vertical velocity (Vp0) and Delta, Eta, Epsilon, interval velocity, interval Delta, axial velocity, tilted angle. 5. Resample – resample in inline, crossline, time or depth directions. Volume values may be scaled. 6. Smooth – median and mean filtering. 7. Extract – this means extracting the volume values along time or depth structural maps. Finally, you can save a velocity volume as a Global Velocity Model. There are more Volume Smoothing options beyond what is in Volume Manipulations, but these additional anisotropic smoothing options only pertain to the EarthStudy 360 Imager user. When the EarthStudy 360 mode is off, it defaults back to what is in Volume Manipulations. Therefore, this application should not concern the generalist user. The Global Velocity Model, or GVM, has been mentioned in the section on Volume Manipulation. What is it? The GVM is a velocity model which can be used to domain convert seismic, well, interpretation, and attribute data. The model is created using a single GUI window, and contains shortcuts. For example, the “Populate from Display” button grabs all visible grids in the 3D Canvas and uses them as interfaces for the GVM. The GVM is built on-the-fly and may be QC’d in real time in the 3D Canvas. The models can be horizon-based, layer cake, or structure independent. Horizon-based and layer cake are similar, except the layer cake method builds the model layer-by-layer, one at a time, from the top downwards, using the results of the immediate layer above it to build downward, so it is a “bootstrapping” method. The models can be populated by a diverse collection of velocity information sources: maps, relationships, advanced formulas, well markers, velocity grids and markers (where the depth maps are automatically “snapped” to the well markers), velocity volumes, slices, linear t-d relationships. Velocity information is commonly used as a low-frequency background model for seismic inversions. The background model may be a starting model for Paradigm’s Prestack Maximum Likelihood Inversion (PMLI), or it may simply be added after the application of a simple poststack inversion, such as Colored Inversion. There are two ways to make a background model. The first is using Geostatistical Volume/Section Creation. This module accepts well logs and horizons, and uses Kriging to populate the layers which are defined by the horizons. The user also has to supply Variogram type and range per layer. The type of model it builds is structurally simple; it does not accept faults, and it cannot represent complex structure or stratigraphy. If these features are in the geology, this is not the workflow to use. The other method is use of Paradigm’s SKUA-GOCAD™ volume-based modeling software to create a structurally and/or stratigraphically complex background model. Constrained Velocity Inversion (CVI) sounds like a highly complex processing-based operation that belongs on the specialist branch of velocity functions. In reality, it can be used by generalists or specialists. CVI was developed as an alternative to Charles Dix’s 1955 equation for converting seismic stacking velocities to interval velocities. Dix’s equation has a reputation for creating laterally unstable and geologically unrealistic interval velocities. CVI is operated on velocity volumes or vertical functions, and creates a smoothed and physically credible velocity field. Not only can it create velocity volumes or vertical functions, it can interpolate them, and also update them using residual velocity or residual moveout inputs. WHEN TO USE: Use in place of Dix’s Equation. Well Tie Tomography is a leaf which has purposely been drawn close to the GeoDepth seed. It’s drawn on the generalist branch, but because it uses advanced tomography technology, it has a lot in common with GeoDepth. The purpose of Well Tie Tomography is to create an anisotropic (VTI) model which will greatly improve the quality of seismic ties with wells. It implements GeoDepth-style reflection tomography, and because it assumes originally flat seismic gathers, there is no need to have actual prestack seismic gathers present for the tomography. The tomography runs on the Windows or Linux desktop, although an iteration of tomography may occupy a single desktop for hours at a time. Many people think that tomography is terribly complicated, and it is in all of its details, but conceptually it is not. Tomography simply answers the request: “Find a new anisotropic (VTI) model with Vp0 and Delta in order to minimize the sum of squared mistie errors of my seismic horizon with my well markers”. 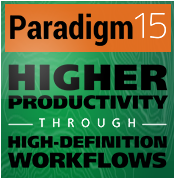 Well Tie tomography has been extensively documented on the Paradigm public website. There is a video available by Joanne Wang from Season I of Virtual Lecture Series 2016. In the upper-right search box, enter “time-preserving tomography” or “well-tie tomography” as search terms, and you will find more content. WHEN TO USE: When seismic horizons, after depth conversion, exhibit an unacceptable level of mistie with the well markers, and it is thought this could be due to VTI anisotropy. This will often present as seismic depth being too deep relative to well depths. The presence of thick shale sequences in the overburden above the target is a risk factor, as is the presence of layered anhydrite – gypsum – salt. As you can see, even from a very high-level description, there is a large (and growing) collection of velocity tools available not only to the specialist user, but to the generalist as well. These generalist tools all run on a single Windows or Linux desktop, and do not require prestack seismic gathers. They can be deployed to accomplish domain conversion, create depth imaging or seismic inversion starting models, or use velocity in other innovative ways to accomplish your goals, limited only by your imagination.